Share:Spokeo v. Robins has been a closely-followed case among background screening companies because of the potential ramifications of the claims made in the lawsuit. Thomas Robins discovered that his Spokeo profile contained inaccurate information about him and filed suit alleging that Spokeo had willfully failed to comply with the FCRA. The Supreme Court announced its..
Share:According to an advisory released by NAPBS, New York City’s Commission on Human Rights has issued updated legal guidance in regards to compliance with the Fair Chance Act and the NYC Human Rights Law. The guidance specifically states that “inquiring” includes conducting a criminal background check (either by the employer or a third party screening..
Share:A case that is currently pending in California federal court is calling into question whether the FCRA’s mandate of a “clear and conspicuous” written notice permits employers to include any additional language at all on a Disclosure and Authorization form. 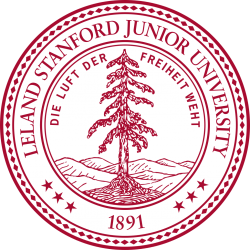 Stanford University is being sued for violating this section of the FCRA by including state..